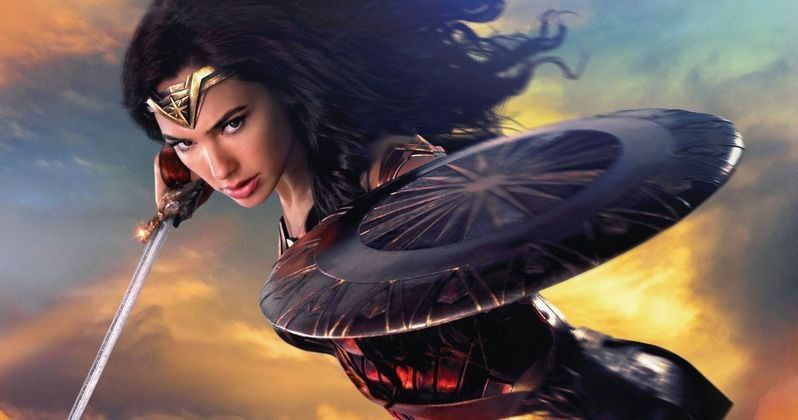 Wonder Woman has asserted her dominance over every other superhero movie released this year to the point where there is simply nothing left for her to conquer. At least domestically. Warner Bros.' Wonder Woman is now officially the highest-grossing movie at the summer box office, having just surpassed Marvel's Guardians of the Galaxy Vol. 2. According to Box Office Mojo, with the weekend's box office take Wonder Woman has now grossed $389 million domestically. That just barely is good enough to overtake Guardians of the Galaxy 2, which has earned a grand total of $387.2 million over its run. Move over, Marvel. There's a new champion in town. Though, things are a little different when it comes to the international numbers. For whatever reason, overseas audiences haven't responded to Wonder Woman quite as strongly. But the movie is still doing big business. Wonder Woman has earned $779.4 million worldwide, which trails Guardians of the Galaxy Vol. 2's $860 million global take. Though, Wonder Woman still has a ways to go before closing out, but it seems a little unlikely that director Patty Jenkins' critically-acclaimed female-led superhero flick is going to be able to catch Rocket, Star-Lord, Gamora, Drax and Baby Groot, but Diana Prince will get closer than anyone ever expected. Wonder Woman has surpassed expectations in every way and has actually managed to become the superhero movie with the best week-to-week holdover at the box office in more than 15 years. The only movie that has made more money domestically in 2017 is Disney's Beauty and the Beast, which made a staggering $504 million. Beauty and the Beast also managed to barely edge out The Fate of the Furious for the number one spot globally, with $1.26 billion. Still, even though Wonder Woman won't take the top spot overall for 2017, Warner Bros. has to be thrilled with the results. Not only because they are going to make a whole bunch of money, but they finally have a movie in the DC Extended Universe that is a bonafide critical and commercial success. There is virtually no divisiveness to speak of here. Given the success, it is no surprise that Wonder Woman 2 was officially announced at San Diego Comic-Con over the weekend. What is a little surprising is that Warner Bros. didn't announce a release date, when the movie is going into production, nor did they announce that Patty Jenkins is going to return, even though that has been all but confirmed. Things just got tricky (and probably expensive) because she only signed a one-picture-deal to do Wonder Woman. In any case, with the truly impressive box office total Wonder Woman 2 is going to become a top priority for them moving forward. As it very well should be. They are probably hoping a little bit of that Wonder Woman magic rubs off on Justice League this November.